SUN Yihua, XING Jiaxin, XUAN Jinfeng, YAO Jun, XIA Xi, WANG Baojie. Significance of Using SNPs Located in the X-STR Flanking Region for the Identification of Kinships and Mixed Samples[J]. Journal of China Medical University, 2018, 47(12): 1072-1076. Abstract: Objective A new method was developed for the identification of specific kinships and two-person mixed samples through the screening of X-STR flanking-region single nucleotide polymorphisms (SNPs). Methods The STR flanking region was screened for SNPs. 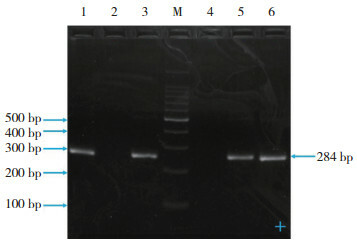 The fragments containing SNPs were then amplified using sequence-specific primers and sequenced for STR locus typing. Results The typing results of the STR locus from different individuals were obtained. Conclusion A detection method based on STR flanking region SNPs was successfully developed for mixed samples containing DNA from two individuals and could be applicable for the identification of kinship. WALSH PS, METZGER DA, HIGUCHI R. Chelex 100 as a medium for simple extraction of DNA for PCR-based typing from forensic material[J]. Biotechniques, 1991, 10(4): 506-513.